Do you want epic cash money for little to no effort and just a $37 investment? 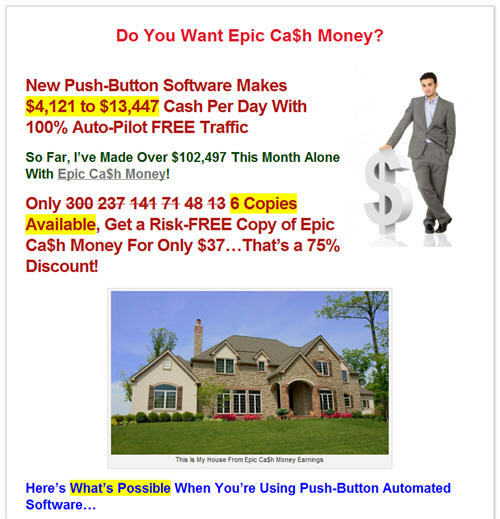 A lot of people are seduced by those sorts of ridiculous promises on sales pages like epiccashmoney.com from self-professed gurus. These vultures have long frustrated Jim Kukral and me, so we decided to start Unguru.me as a place for small business owners, entrepreneurs and marketers of all levels of experience to get together to learn and network in an unfiltered atmosphere that is void of hype. Unguru.me is focused on give and take. This new community is the antithesis to the typical customer and guru relationship where the customer gives and the guru takes. Visit unguru.me and join us for an opportunity to network and learn from successful small business owners. Advanced Optimization for Landing Pages panel from Affiliate Summit West 2009, which took place January 11-13, 2009 in Las Vegas, NV. Learn how to optimize your landing pages and increase conversion rates by 50-500% using simple techniques and technologies. Get that competitive edge by increasing margins and return on marketing spend. 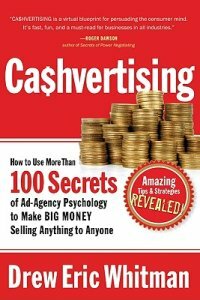 The keynote speaker for Monday, January 10 at Affiliate Summit West 2011 will be Drew Eric Whitman, internationally renowned advertising trainer who specializes in teaching the psychology behind the response, and he wrote one of my favorite business books, Cashvertising. There are a lot of practical tips on how to persuade consumers to purchase goods and services. I’d encourage anybody heading to Affiliate Summit to grab a copy and read it. It’s a quick, informative read, and I can seriously say it will change (in significant, positive ways) how you do business if you take what you learn from the book and apply it. The keynote will be at the Encore Theater from 9:45am to 10:45am on Monday, January 10, 2011. Driving Leads Through Smart Domain Development presentation from Affiliate Summit West 2009, which took place January 11-13, 2009 in Las Vegas, NV. Are domains a part of your affiliate marketing strategy? If not, they should be. Discover the power of direct navigation and learn how domains can impact SEO/SEM. I got one of those messages from GoDaddy this morning to remind me that a domain was expiring. I get those often, because I have nearly 200 domains, and often buy them a year at a time, so I can easily dump them if I don’t want them anymore. Typically, I’ll just look through the domains expiring for the next couple months and extend them or leave them alone. But I got concerned that one would slip through the cracks. So today, I did an audit of all of my domains, many that I wanted to keep were not on auto-renewal, and a lot of the dopey ones were on auto-renewal. I trimmed hundreds of dollars off my domain bills for the coming months, and avoiding missing the renewal of some others. When that happens, you can still grab the domain back from GoDaddy (that’s who I use, but probably similar at other registrars), but they’ll charge you a premium. I’d encourage everybody to make it an annual habit to audit their domains – it’s my new January 1 thing, just like I change the smoke alarm batteries when the clocks change.